The Ulsan Hash leaves every two weeks on Sunday mornings from outside Seobu Foreigner’s Compound clubhouse at 11.00 AM. 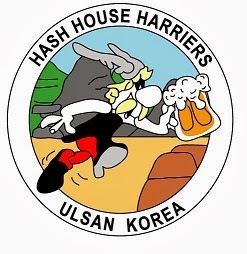 The Hash trails are set by volunteers and soft drinks & beer are provided by the Ulsan Hash. A light lunch is also provided after the Hash, by volunteers.